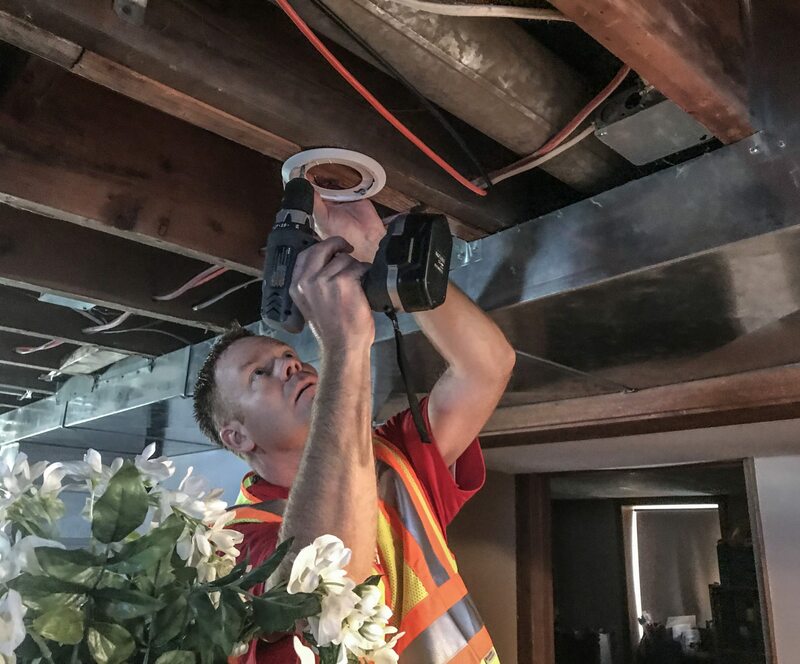 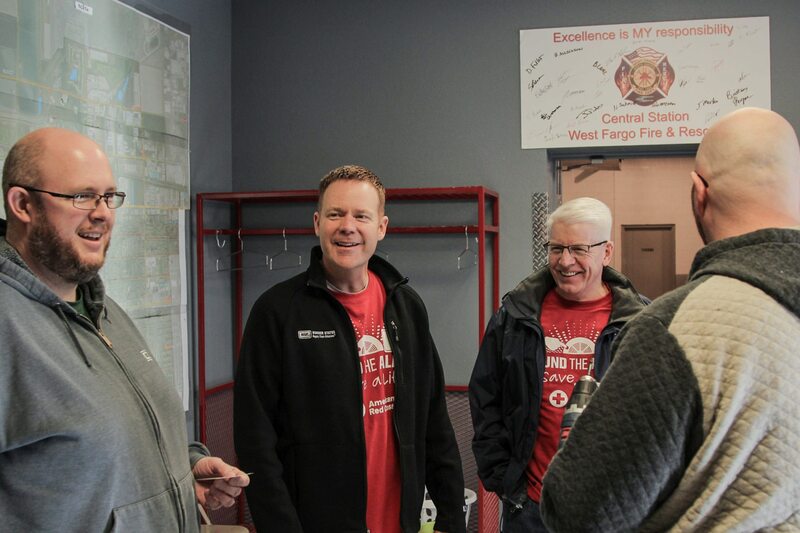 Jason Stein, Border States Executive Vice President of Sales and Marketing, and Chairman for the Dakotas Region of the American Red Cross – serving North Dakota, South Dakota and northwestern Minnesota, installs a smoke detector in a West Fargo home April 28. 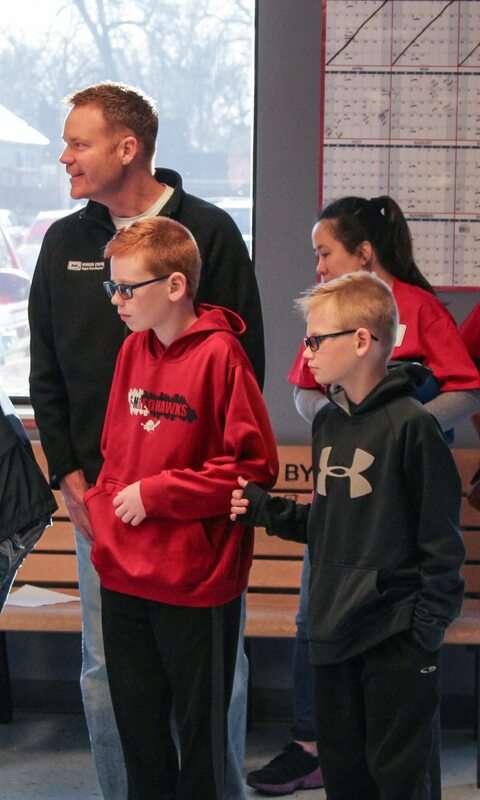 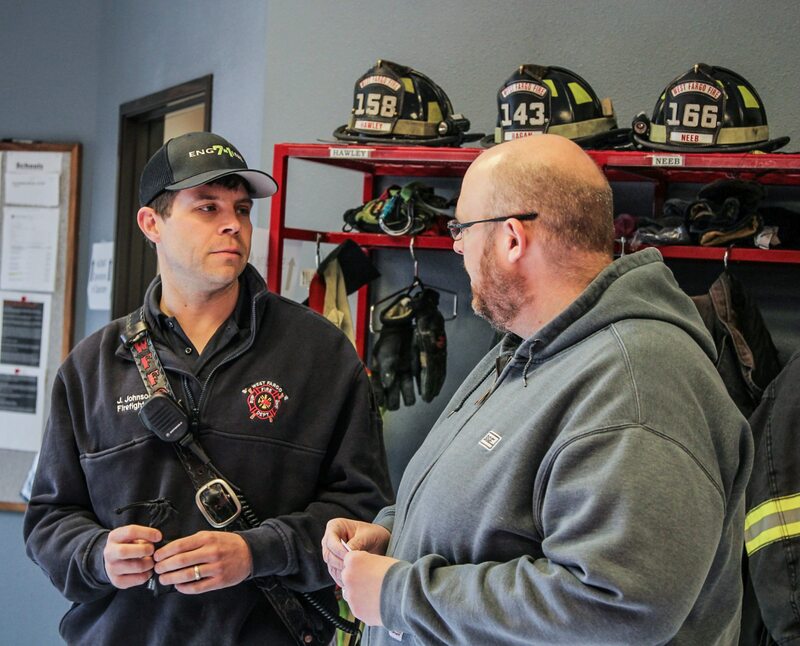 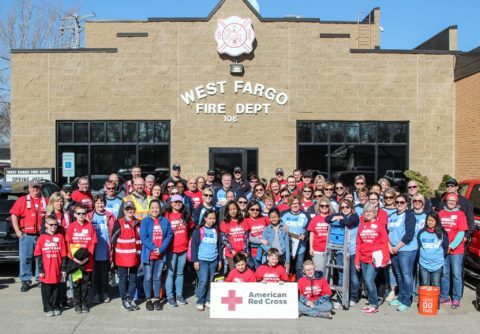 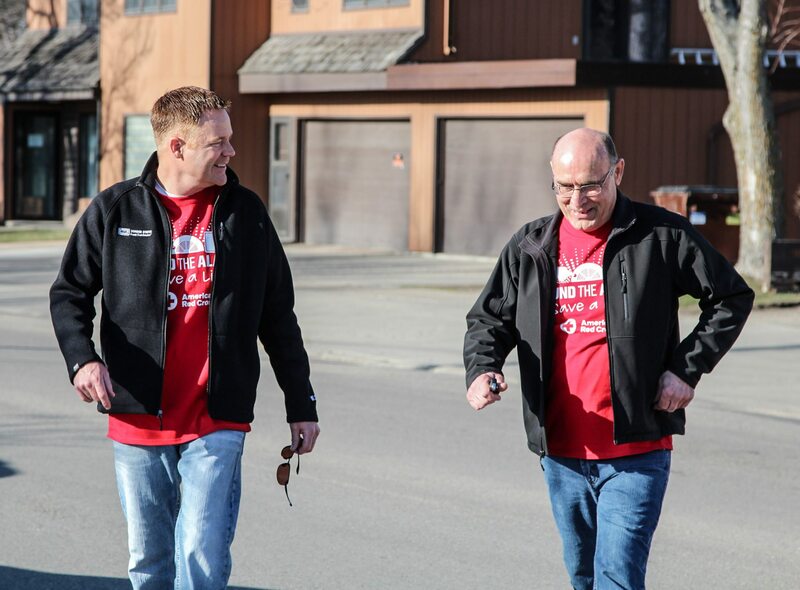 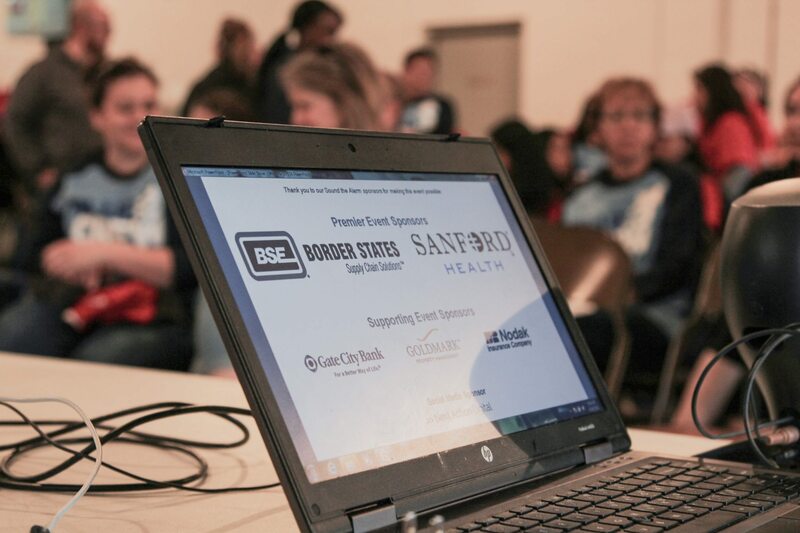 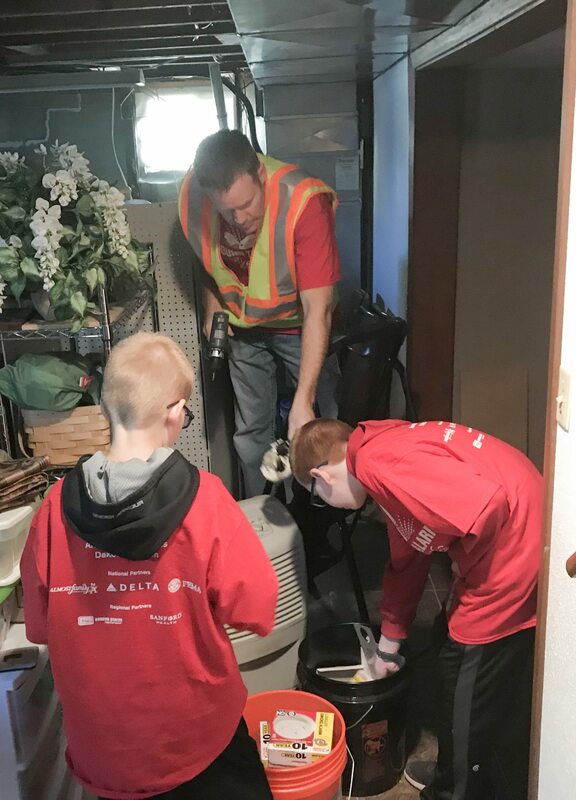 FARGO, ND – On April 28, Border States employee-owners were among the volunteers who helped the American Red Cross install more than 350 free smoke alarms in homes across the area of Fargo, Moorhead, West Fargo and Casselton, making homes safer for nearly 500 people. 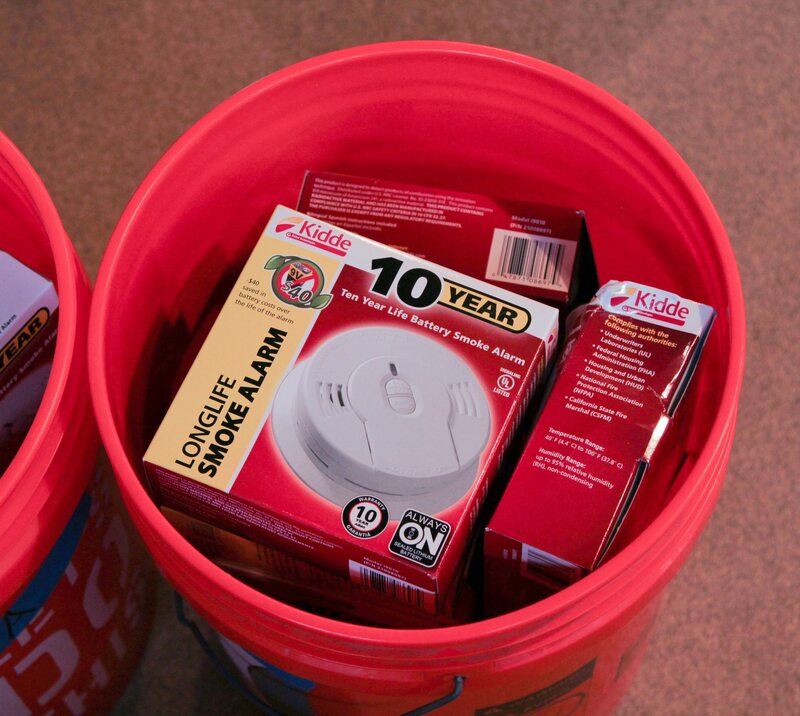 Home fires are the biggest disaster threat facing American families. 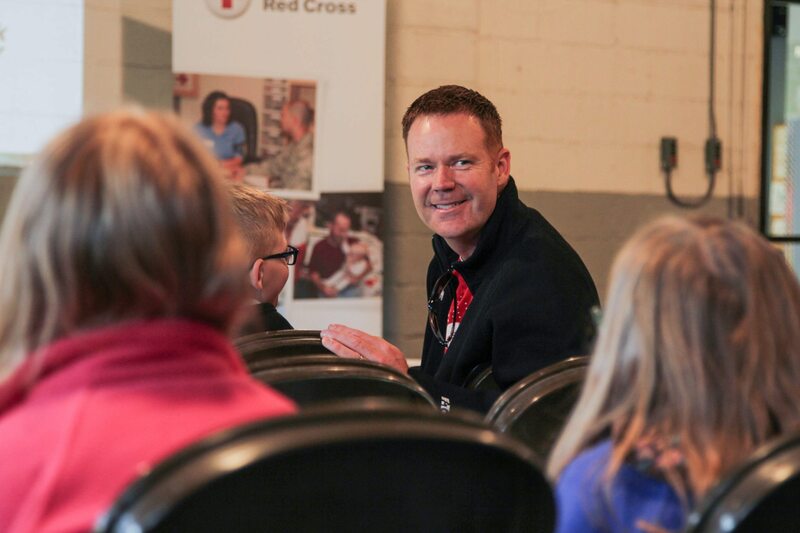 They kill on average 2,500 people per year, according to the American Red Cross. 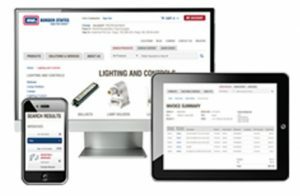 Working smoke detectors cut the risk of dying in a home fire by half, which is why Border States donated nearly 1,000 smoke detectors for Sound the Alarm, a nationwide event originally scheduled for fall 2017 but moved due to the massive impact of multiple hurricanes. 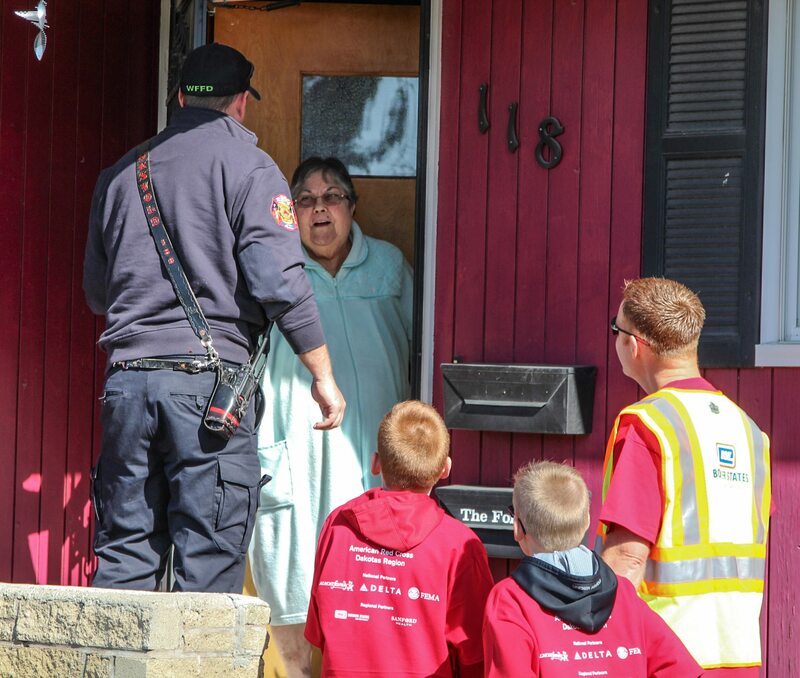 Sound the Alarm staff and volunteers partnered with local fire departments to install smoke alarms, replace batteries in existing alarms, and share lifesaving fire safety information with residents. 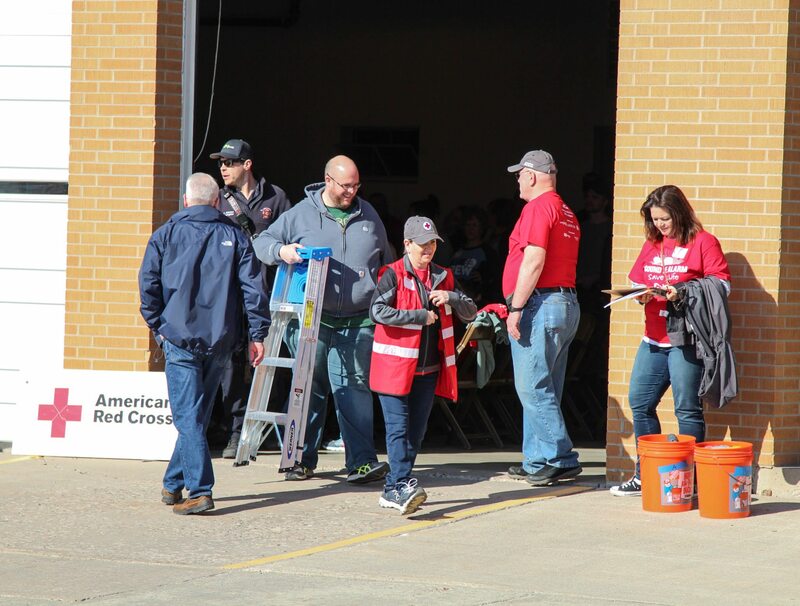 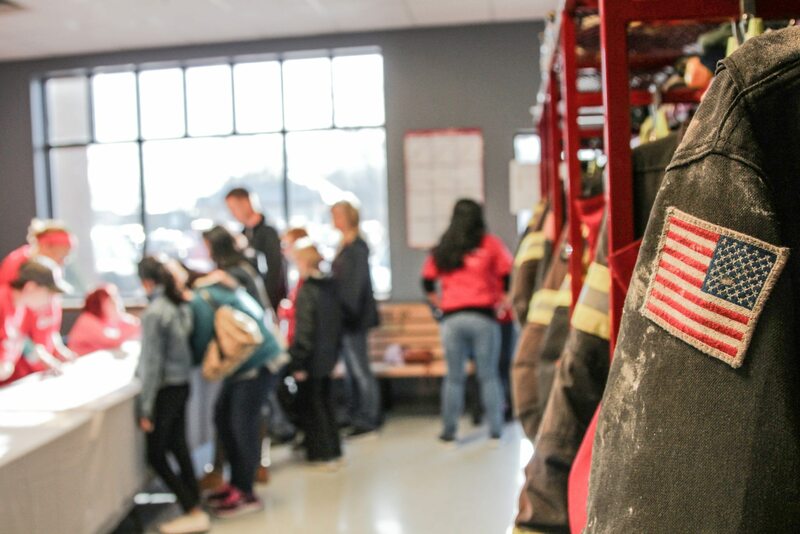 Each volunteer team was equipped with a step ladder, drill, smoke alarms, service acknowledgement forms, door hangers, and a leave-behind packet for homeowners. 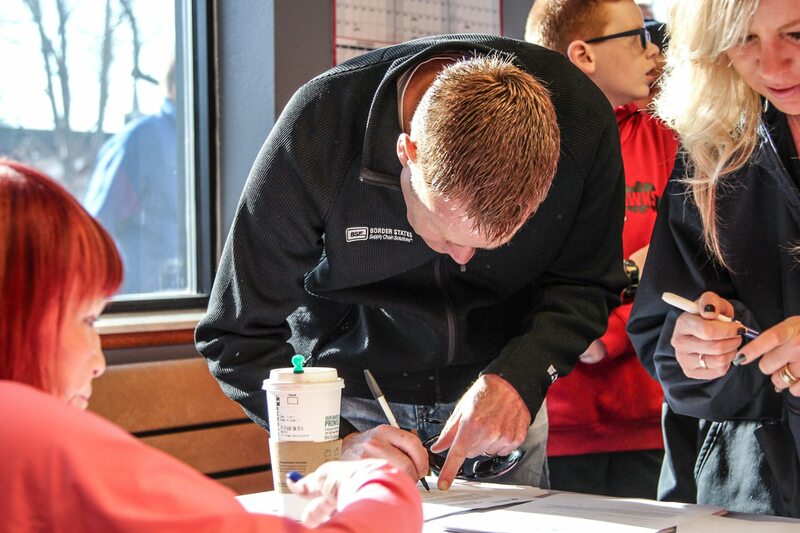 Each packet included a home fire safety checklist, as well as a laminated board and dry-erase marker to draw a home fire escape plan. 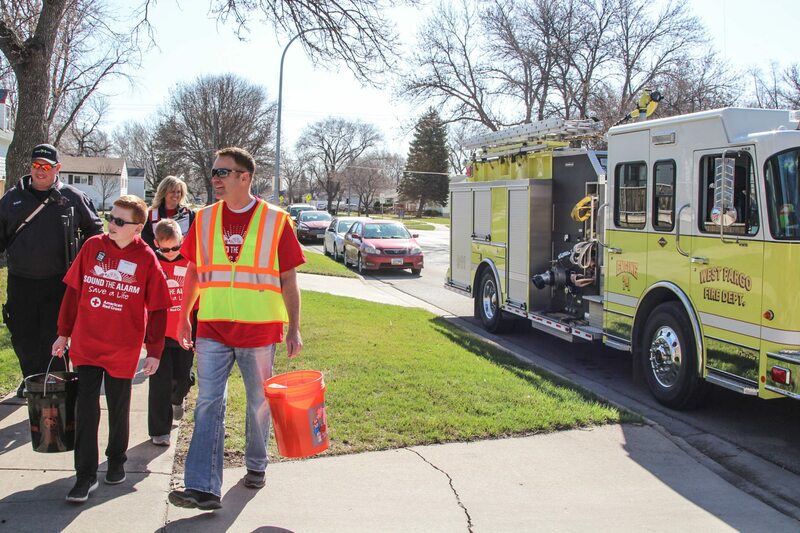 Part of the Red Cross’ Home Fire Campaign, Sound the Alarm was launched to help save lives. 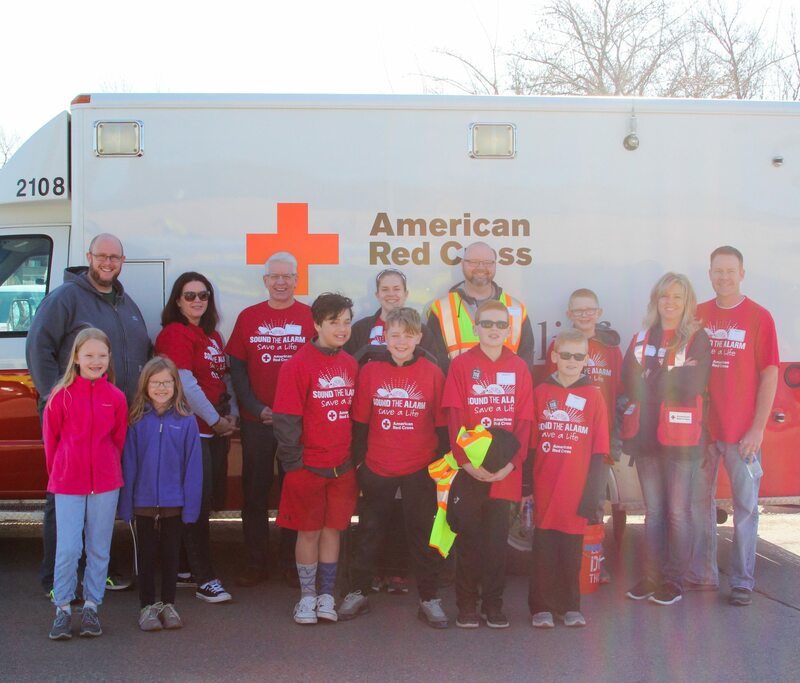 Across the country, nearly 400 lives have been saved since 2014. 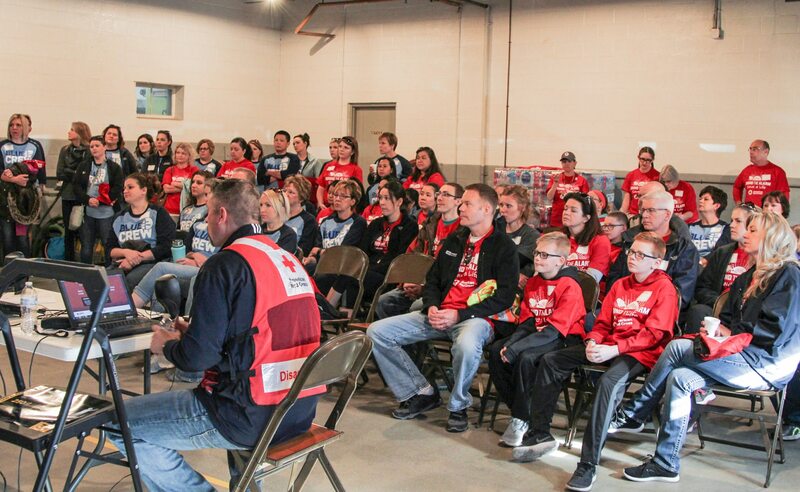 Learn more about how you can support Sound the Alarm. 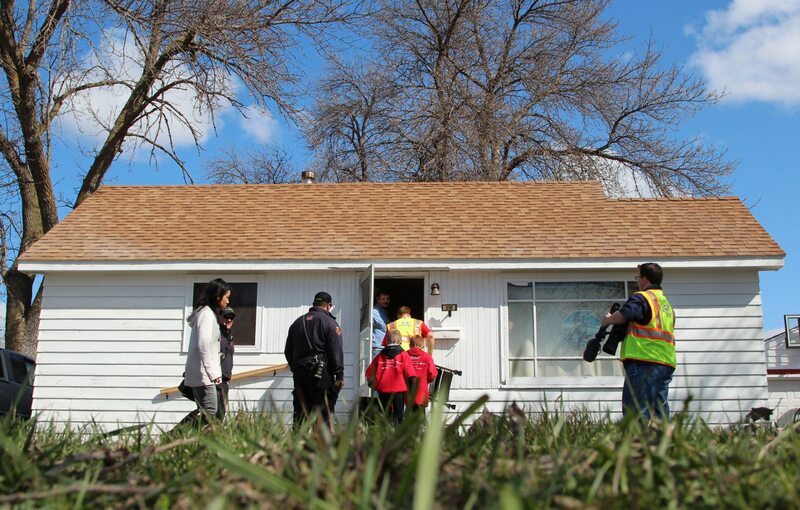 Below, see more video and photos from the event.